This article will outline the common causes of injury, review the symptoms of a TBI to be aware of, and talk about some of the risks that victims face. While traumatic brain injuries can be caused by almost any blow to the head or body, the following are some of the most common circumstances associated with these types of injuries. Falls from any object, regardless of height, can cause a brain injury so long as there is a blow to the head or body. Some common circumstances include falls in the bathroom, out of bed, or down stairs. The very young or elderly are most at risk for these types of falls, but anyone – regardless of age – can sustain a traumatic brain injury this way. 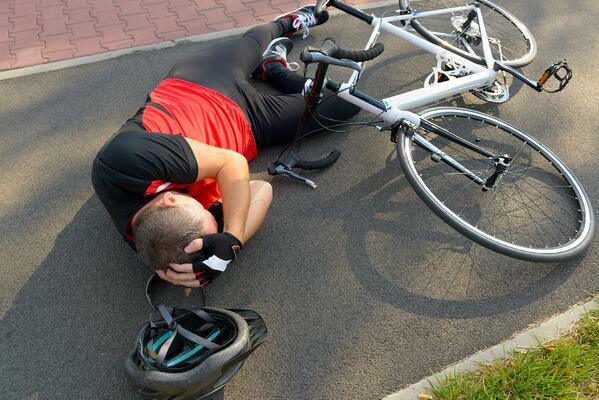 Collisions involving cars, motorcycles, bicycles, or pedestrians are the most common type of behavior associated with head injuries. Always wear a helmet, and use the appropriate safety gear. However, be on the lookout for symptoms of brain injury if you’re in a crash regardless of the safety gear you were wearing – even people who take the right precautions can suffer a brain injury in these events. If you or your child participates in these, take extra care to follow all safety guidelines. If you develop any brain injury symptoms, be sure to consult with professionals. Chemical or Toxic Substances – exposure to chemicals such as carbon monoxide, industrial chemicals, or household substances can damage neurons. Lack of Oxygen – most commonly associated in drowning or smoke inhalation related events. Lack of oxygen to the brain, even for periods of just a few minutes, can cause severe brain damage. Symptoms of this type of brain injury include loss of cognitive function or memory. Infection, Tumors, or Stroke – Loss of blood to or pressure on portions of the brain may result in long term reduced brain function. Most of what people learn about brain injuries they get from either the media or entertainment they consume. In those forums, victims of traumatic brain injuries suffer from memory problems, confusion, headaches, difficulty speaking, or focusing at work. All of these things are common, and could be important signs of having suffered a traumatic brain injury. However, it is important to remember that there are multiple signs and symptoms of traumatic brain injury associated with physical or mood disorders. If you experience any of the following you should contact a medical professional. If your child has suffered a blow to the head or body, or you suspect they have sustained a brain injury otherwise, immediately consult with a doctor. Children are at risk because they may not be able to communicate headaches or other emotional or sensory conditions. Be alert and watchful for the following head injury symptoms, some of which may appear days later. If you or a loved one is suffering from any of these head injury symptoms and suspect that you’ve sustained a brain injury, consult with professionals. Left untreated, the consequences of traumatic brain injuries can be life threatening. Higher instances of seizure, depression, suicide, psychosis, and dementia have been associated with victims of traumatic brain injury. Additionally, a host of endocrine system related disorders are associated with brain injury, ranging from insufficient growth hormone production to a decrease in testosterone or estrogen. Even mild brain injuries can lead to an increase in depression and cognitive impairment. If you believe you are at risk it is always best to seek medical treatment from providers you trust. If you believe another party is responsible for your injuries, contact a qualified and experienced brain injury attorney to make sure you are getting the care and protection you need. If you have further questions about the risk or symptoms of traumatic brain injury, check out the ebook below, or contact us at Brain Injury Law of Seattle with any questions.